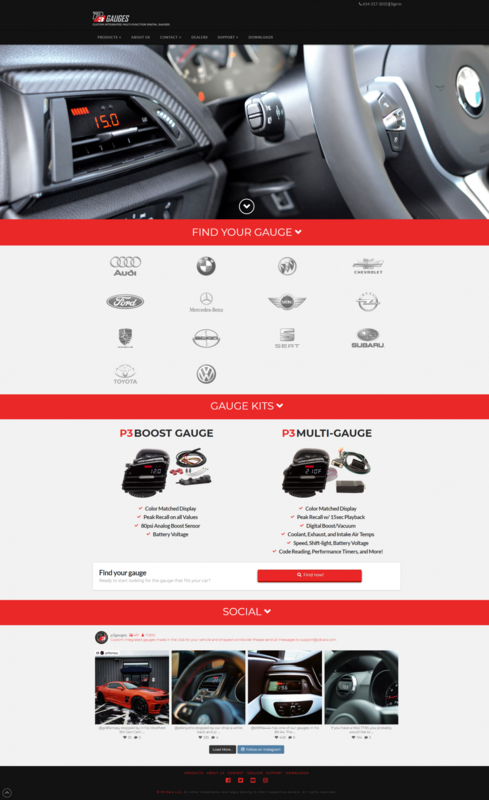 P3 Cars and P3 Gauges is a combination of two websites. P3 Cars is a bigcommerce website and P3 Gauges is a wordpress website that have been designed in a way too feel like the same website. The wordpress side allows for more customization and easier updating and the bigcommerce integrates better into customers sales process.